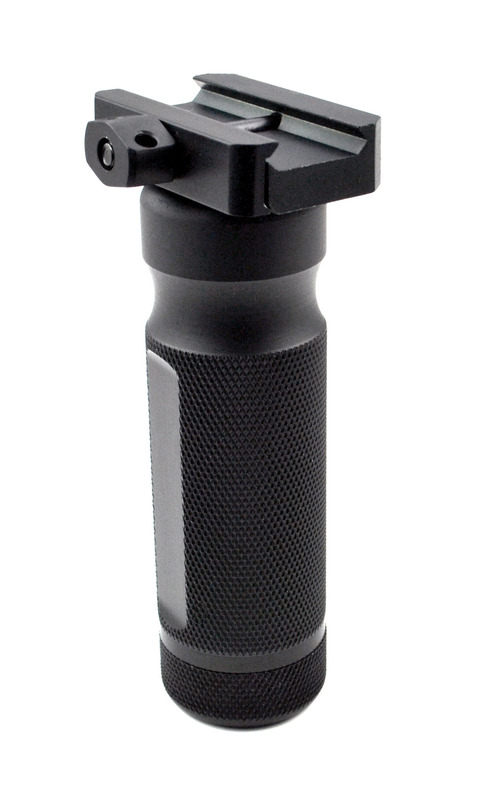 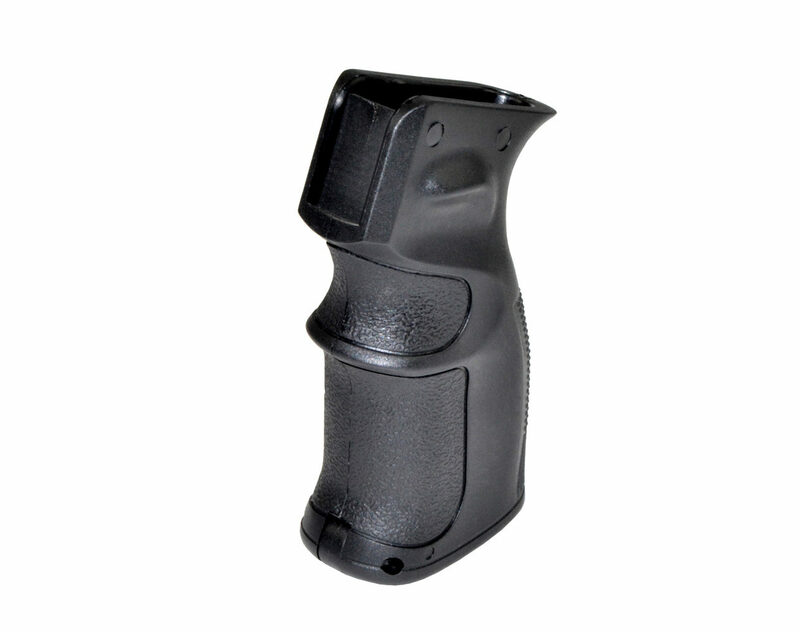 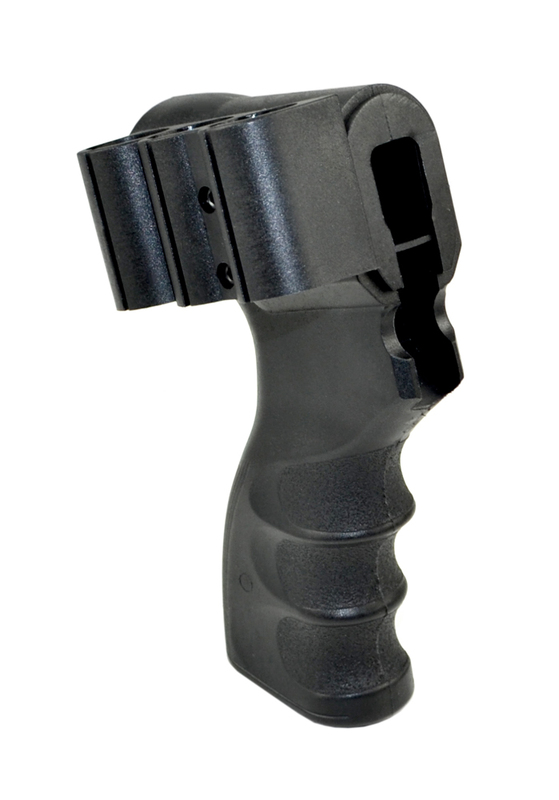 Sniper® AR Style Grip, Black. 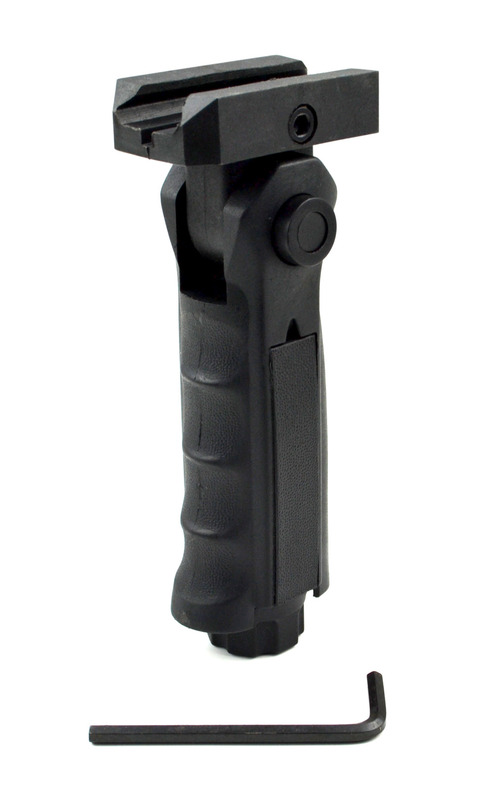 • Premium grade Mil-Spec Reinforced Polymer Composite • Built for lasting and rugged use • Easy to grip comfort holding system, better Control by Extended Beaver-tail • Storage for tools or batteries • Height 4.5”. 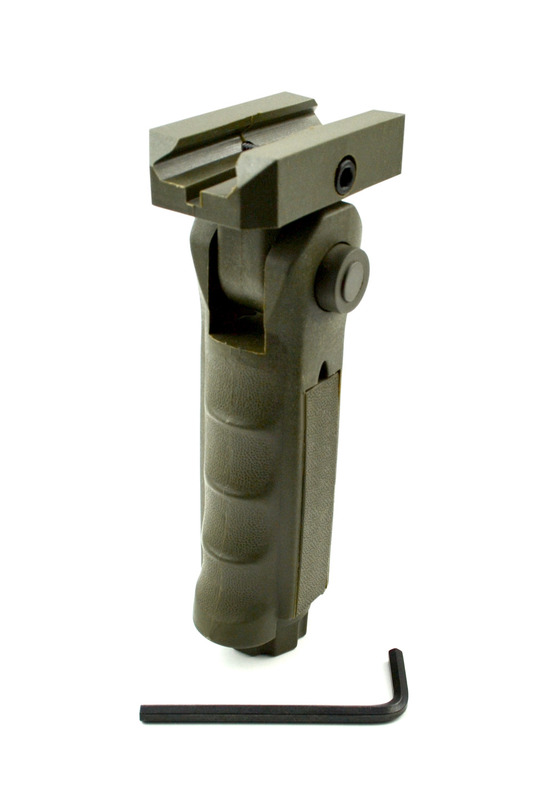 Sniper® AR Style Grip, Green. 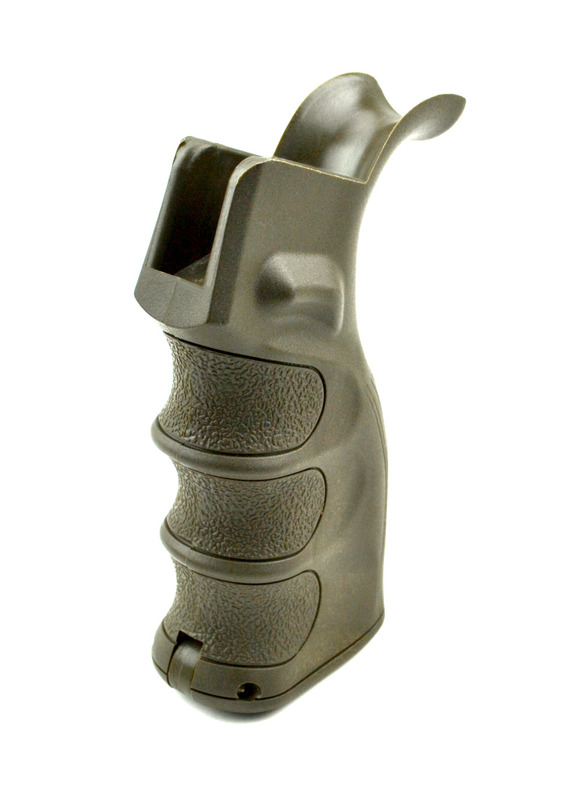 • Premium grade Mil-Spec Reinforced Polymer Composite • Easy to grip comfort holding system, better Control by Extended Beaver-tail • Storage for tools or batteries • Height 4.5”. 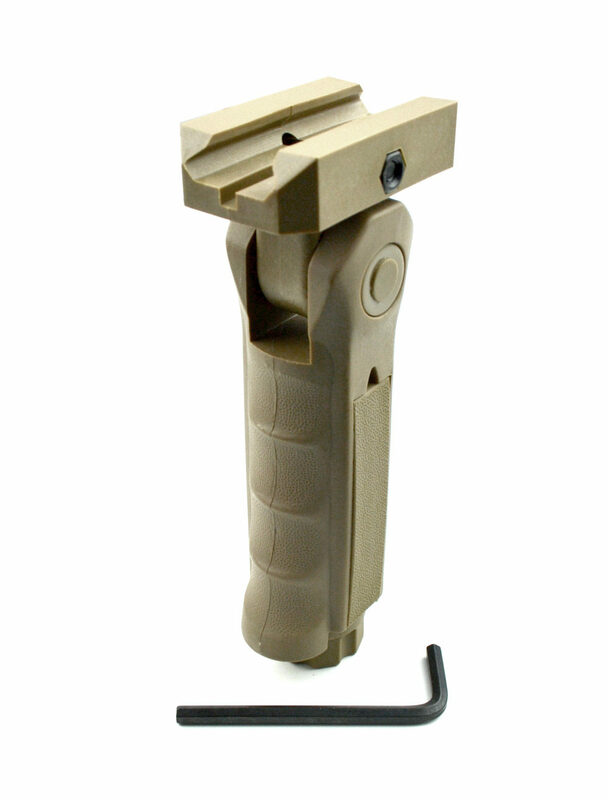 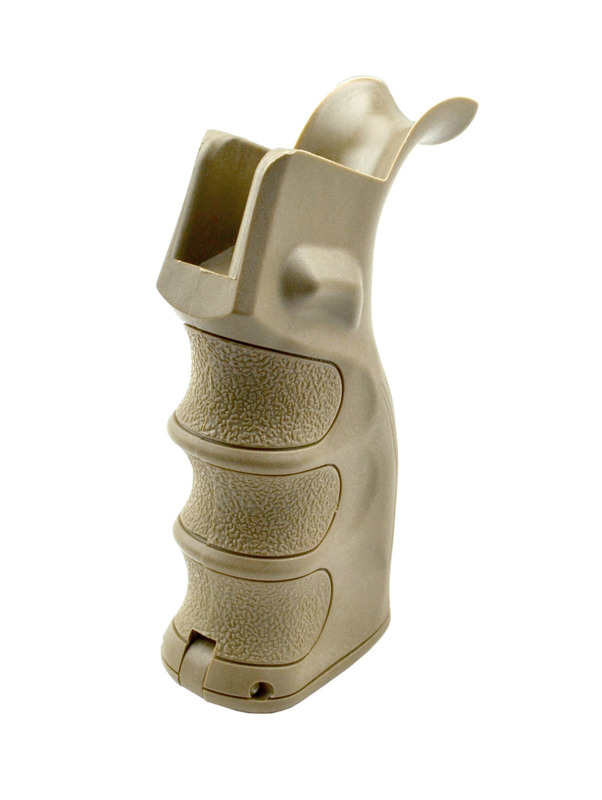 Sniper® AR Style Grip, Tan. 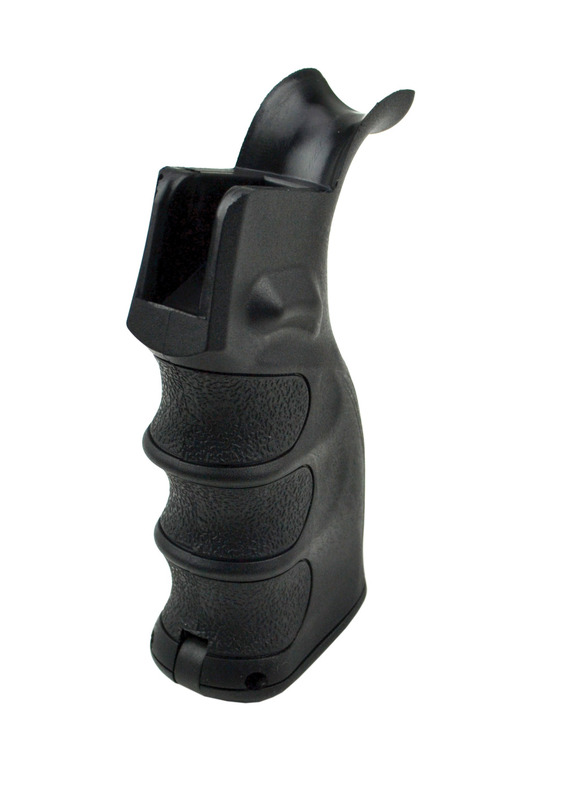 • Premium grade Mil-Spec Reinforced Polymer Composite • Easy to grip comfort holding system, better Control by Extended Beaver-tail • Storage for tools or batteries • Height 4.5”. 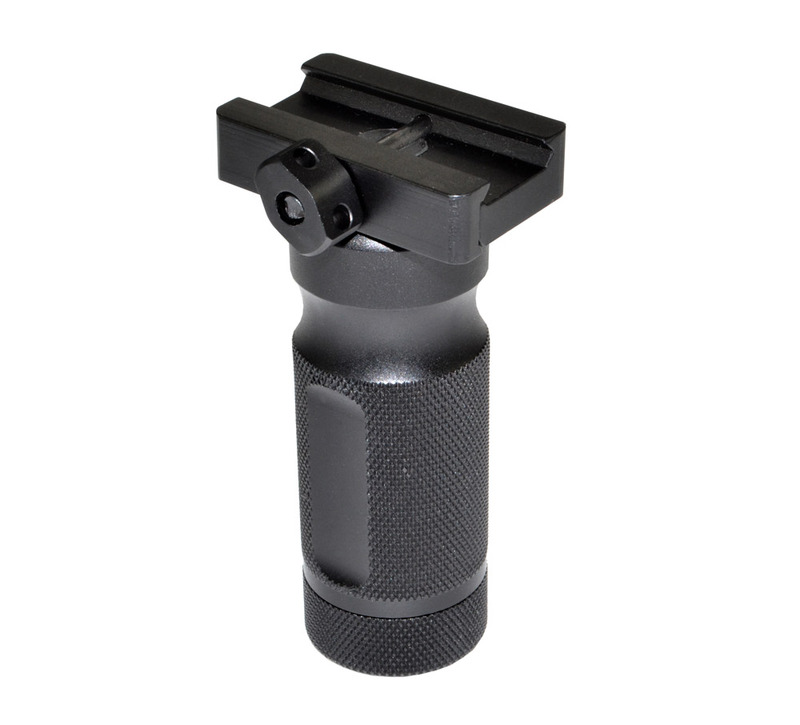 Sniper® Short Aluminum Foregrip, Black. 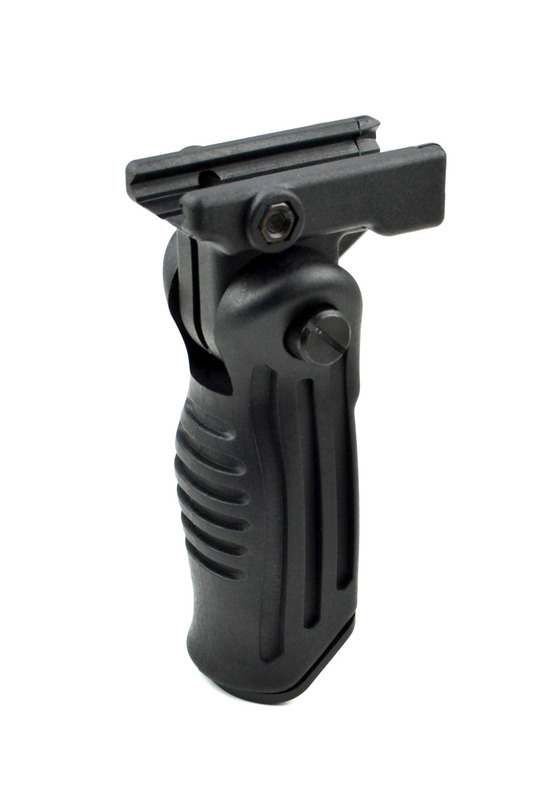 Sniper® Tactical 5 Position Folding Foregrip. 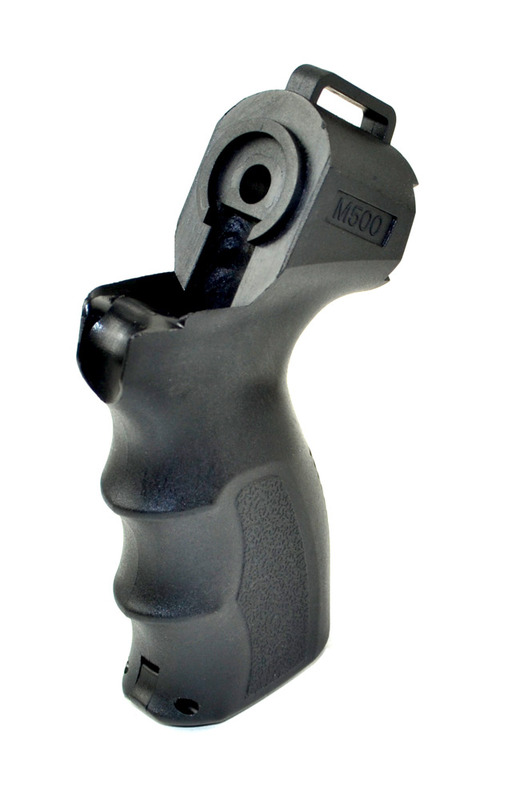 • Premium grade Mil-Spec Reinforced Polymer Composite • 5 Adjustable Positions • Storage for tools or batteries • Height 4.75”.